The eclipse in August was visible from northern and eastern Europe, northern parts of North America, and some northern and western locations in Asia. 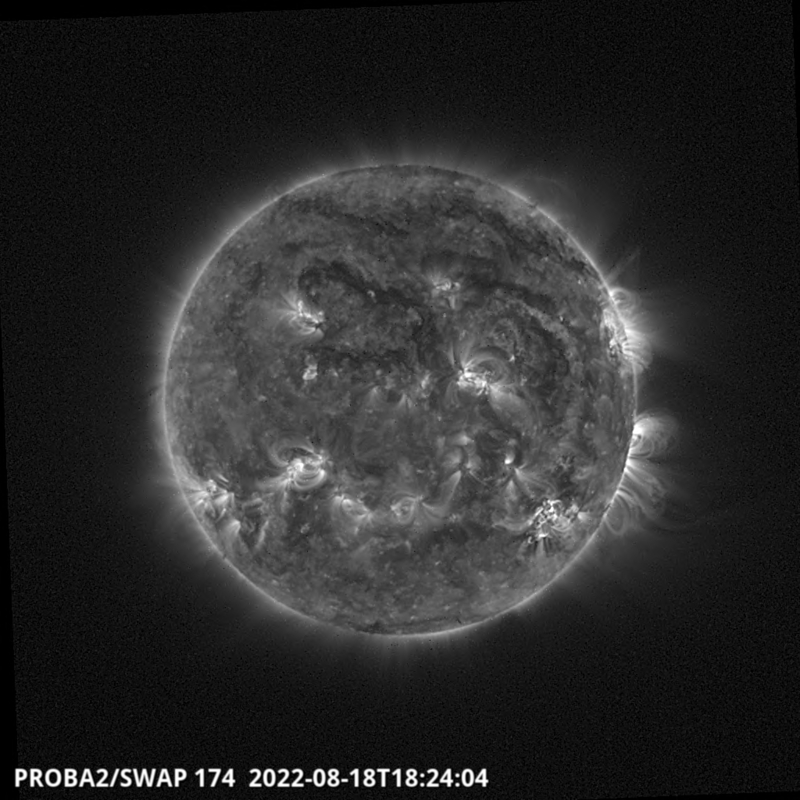 The PROBA2 satellite also observed the two partial eclipses, on July 13, between 01:33 and 01:47 UT, and between 03:00 and 03:19 UT, and on August 11 between 08:29 and 08:49 UT, and between 10:21 and 10:45 UT. 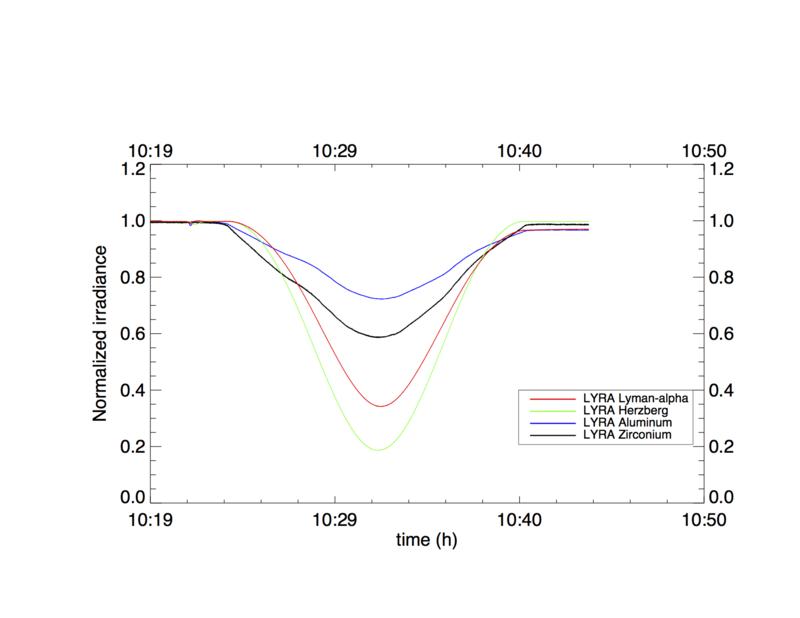 Additionally, for each of these eclipses, the Moon appears one more time in the field of view of the solar instruments onboard PROBA2, SWAP and LYRA, without obscuring the solar disk. The movie simulating the SWAP observations on July 13 can be found here and the one simulating the SWAP observations on August 11 can be found here. 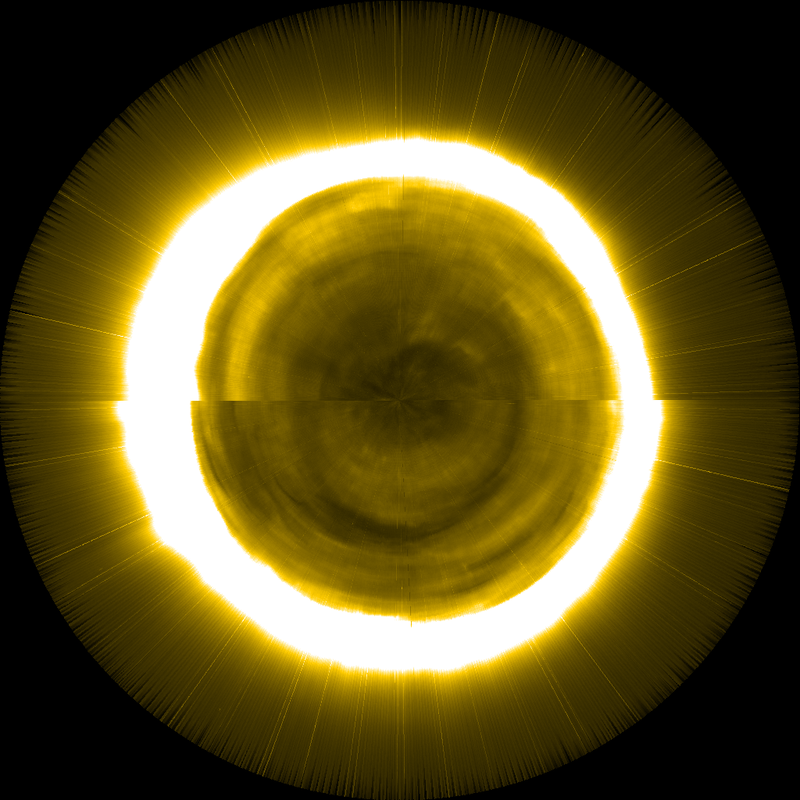 During the two eclipses, SWAP observed the Sun at high cadence. 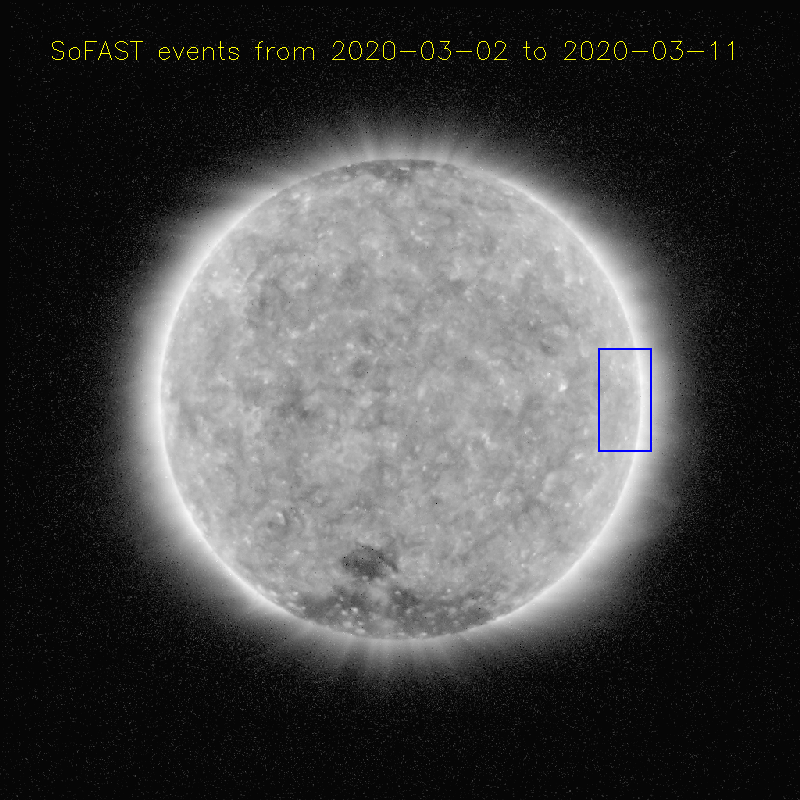 For each eclipse we have produced our usual sets of calibrated PNG images (with logos and timestamp, with timestamp only, and without logos or timestamp) as well as movies of the event. Below are two SWAP images showing the eclipses on July 13 and August 11, respectively. All the movies and images of the eclipses are now available for both July and August. 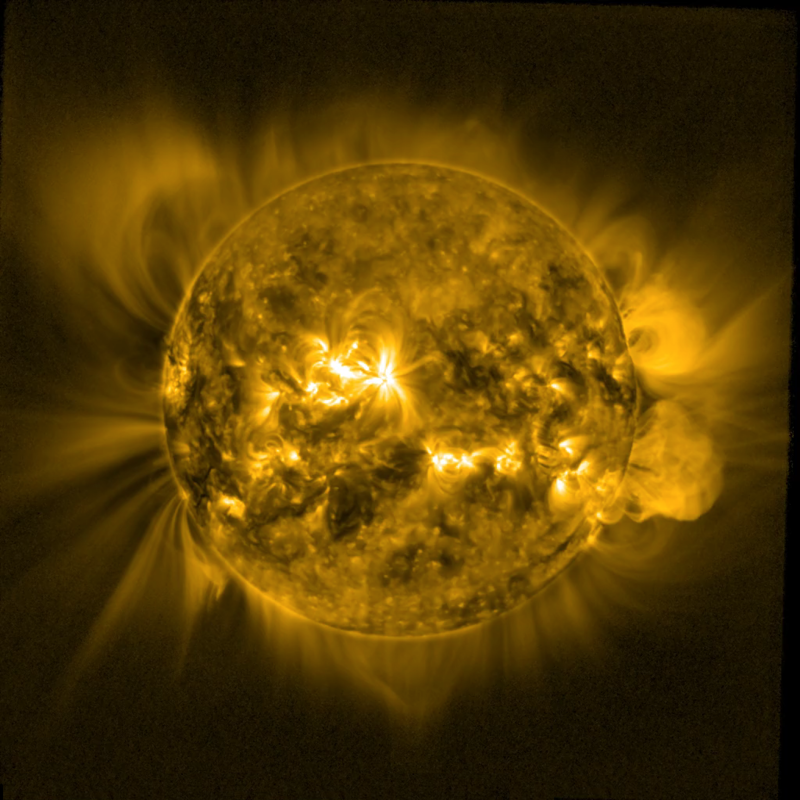 These directories also contain the SWAP images with the largest part of the Sun occulted by the Moon, as the one shown above. 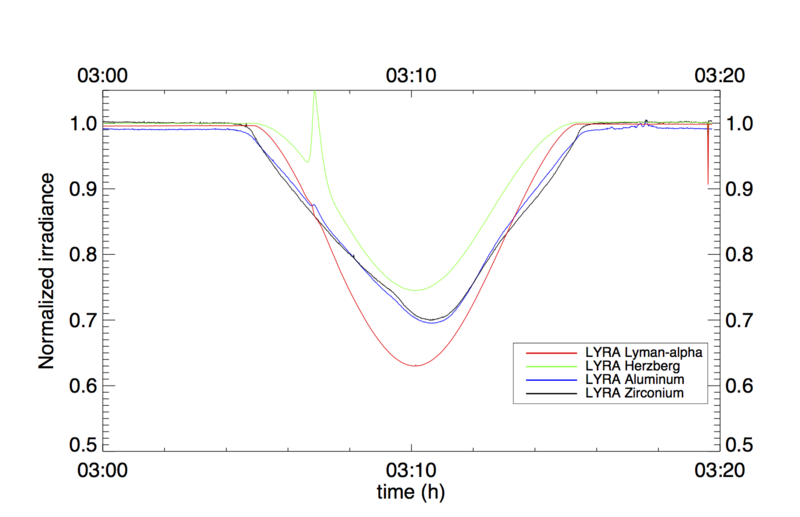 LYRA used a second unit in parallel to the nominal one during the eclipses. On July 13, the usual backup unit 3 was switched on. 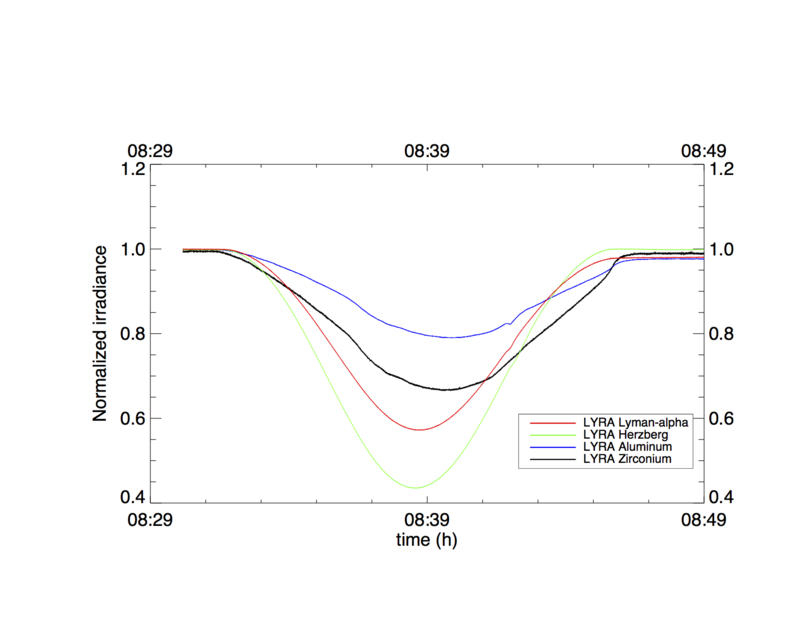 The peak around 03:07 was caused by a maneuver of the spacecraft. On August 11, we used in alternance the nominal unit (unit 2) and the backup unit (unit3) in parallel of the calibration unit (unit 1). The later provides the best quality measurements as the calibration unit was preserved as much as possible from the ageing effects. All requests for media comments, data assistance, or planning requests can be directed to the SWAP and LYRA teams via swap_lyra@oma.be.